Smart Gardener founder Kristee chatting with Abe of Petaluma Bounty at today's plant sale. Not long after planting her first vegetable garden, Kristee Rosendahl realized she was spending most of her time indoors researching gardening topics, not actually digging in the dirt. “I had a stack of gardening books a mile high, but it wasn’t helping me figure out what was best for my garden,” she recalls. Her need for a hyperlocal resource led Rosendahl, a user-experience designer at Apple, to develop Smart Gardener, an online tool for planning and managing one’s vegetable patch. Users enter their ZIP code, garden size and household size, and the program aggregates historical weather statistics from a national database to make recommendations for the best vegetables for the climate and when to plant. It also provides a week-to-week guide for maintaining one’s garden through the growing season. For example, gardeners who want to plant tomatoes will receive recommendations about which varieties will produce the best results in their area; data can be narrowed further, limiting suggestions to, say, heirloom varieties or those that perform well in containers or partial shade. After testing the program in her garden in Sonoma County, Calif., Rosendahl recognized its potential as a business. “There was so much buzz about sustainability and local food systems, and technology was getting much more sophisticated,” she explains. She decided to release Smart Gardener as a free service. Her hope? To build a robust audience as proof of concept, then figure out how to monetize. 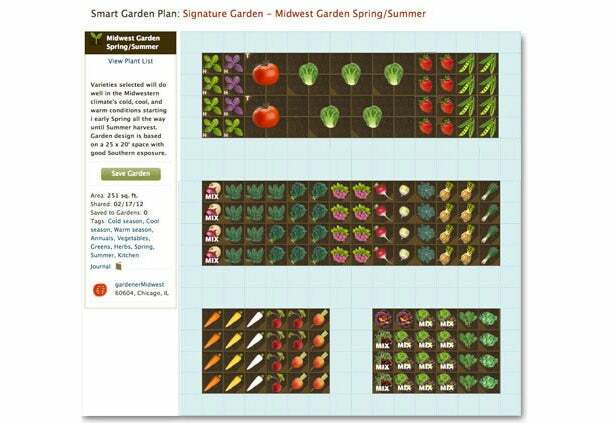 Since she launched in 2012, more than 250,000 people have created accounts at smartgardener.com, making it the leading U.S. gardening website. Armed with that user base, Rosendahl has introduced small add-ons and apps, ranging in price from $0.99 to $4.99, that include a guide to growing berries and a harvest calculator. The site has also partnered with seed companies and retailers, including Southern Exposure Seed Exchange and Peaceful Valley Farm & Garden Supply, to generate revenue from affiliate e-commerce sales. Although she declined to disclose revenue, Rosendahl estimates that 25 percent of users purchase add-ons or products from Smart Gardener’s partners. Last year Rosendahl created a B2B product, Smart Backyard, designed to help landscapers use the technology to help with garden planning and maintenance and improve customer communication. For example, after a landscaper has completed a list of recommended chores, an auto-generated newsletter is emailed to clients. With demand for Smart Gardener and Smart Backyard continuing to grow, Rosendahl believes she can expand her empire beyond the garden in the coming years. Among her plans are complementary services such as Smart Chickens, Smart Beekeeping and Smart Orchardist. Vertical Gardens Exist. You're Welcome.